Located in Cambridge, this wood-frame residence was built in 1759 for John Vassall, a British loyalist. 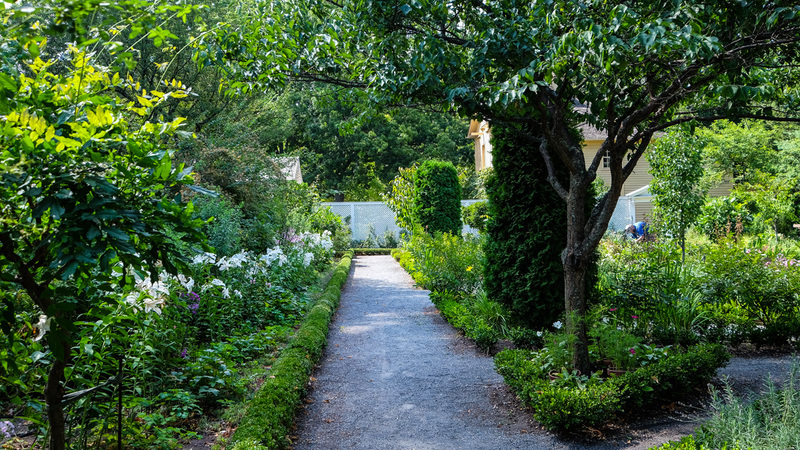 The estate, which originally encompassed nearly 100 acres, was then occupied by General George Washington from 1775 to 1776 and served as his base during the Siege of Boston. 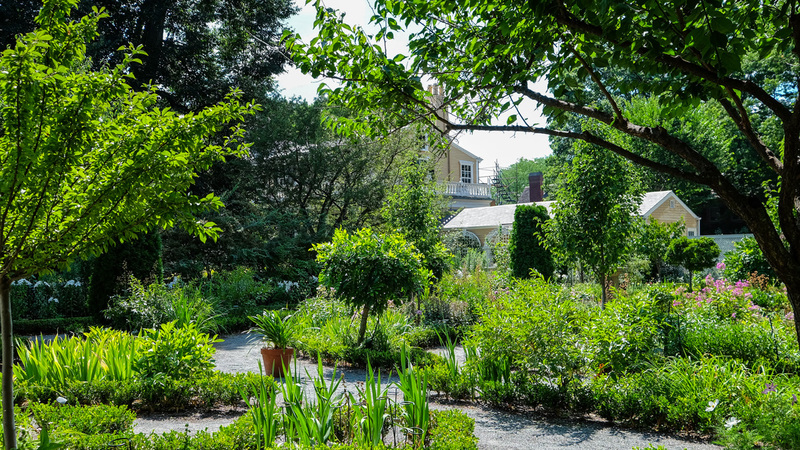 The house is best known as the residence of poet Henry Wadsworth Longfellow, who lived on the site from 1843 until his death in 1882. 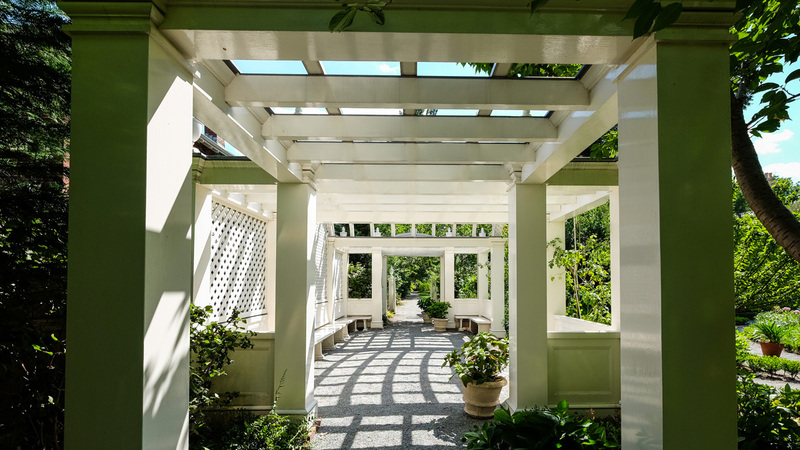 Following his death, his children formed the Longfellow House Trust and subdivided the acreage in order to accommodate additional family residences. Longfellow’s daughter, Alice, remained in the original house and managed the property until her death in 1928. Afterwards the property passed through several trusts and owners until 1972, when it was donated to the National Park Service. 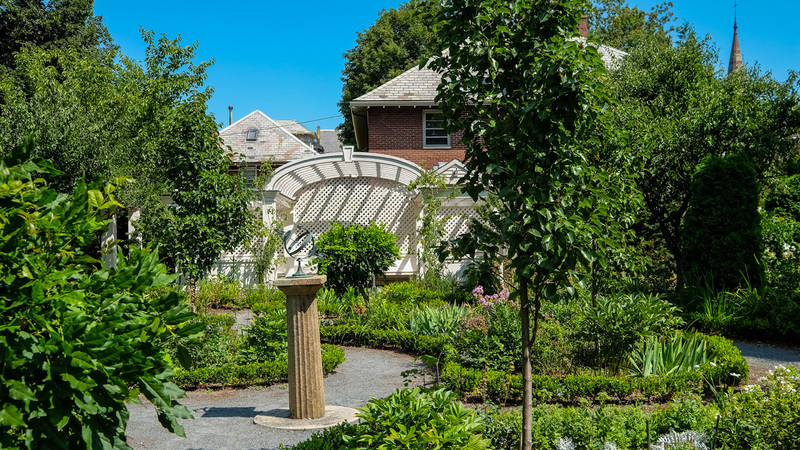 The Colonial Revival garden surrounding the residence has been restored to its appearance from Alice’s residency, when it was designed by landscape architects Martha Brookes Hutcheson and Ellen Shipman. 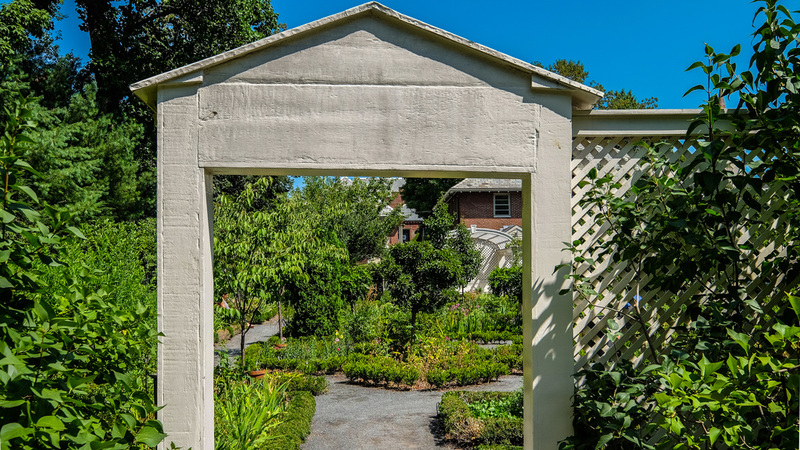 The garden is accessed via a wooden gate on Brattle Street. A path bisects a front lawn area, before arriving at a balustrade and grass terrace in front of the residence. An elaborate parterre garden is located behind the residence. 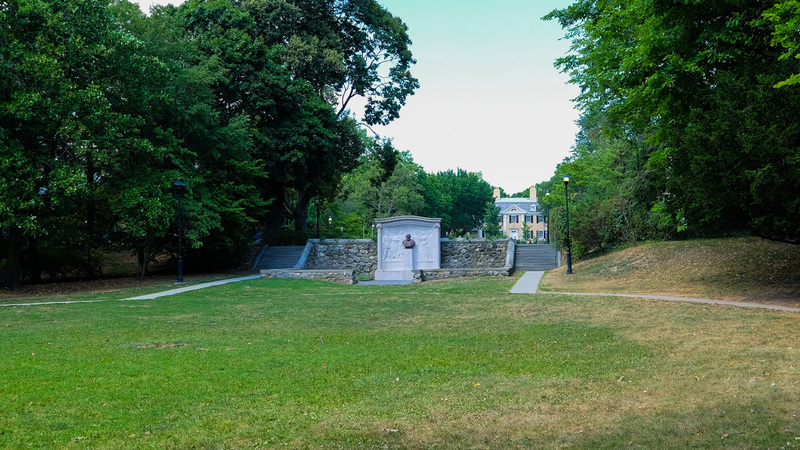 Along with subdividing the estate, Longfellow’s children established an association to preserve the view from the house to the Charles River, creating Longfellow Park, the first park designed by Charles Eliot (1887) and subsquently improved by the firm Pray, Hubbard & White (1910). 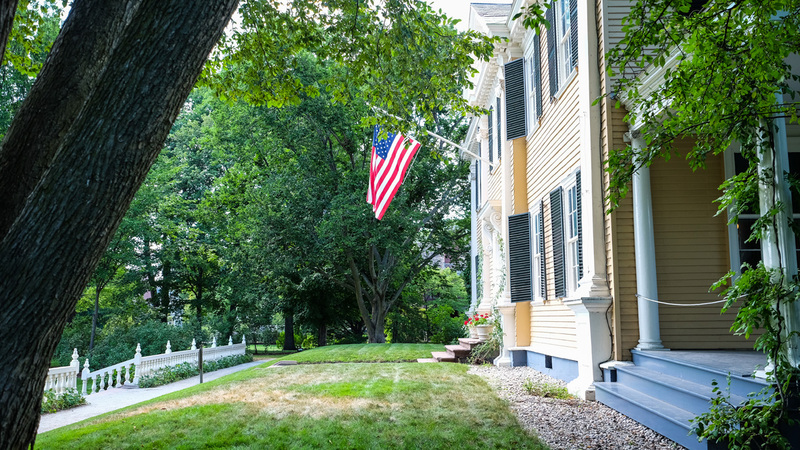 It is managed by the City of Cambridge and the surrounding property owners, including Longfellow House – Washington’s Headquarters National Historic Site, the Church of Jesus Christ of Latter-day Saints, and the Friends Meeting at Cambridge. 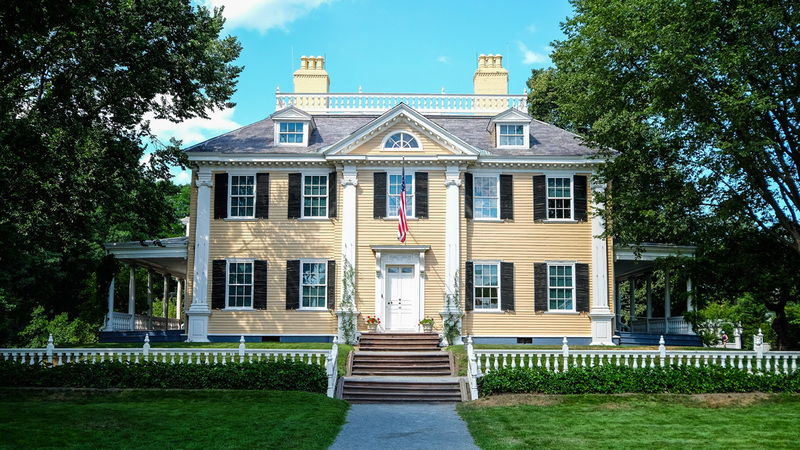 Longfellow National Historic Site was designated a National Historic Landmark in 1962 and listed in the National Register of Historic Places in 1966.